If you've encountered an error on Dashboard that states API access discontinued don't panic and try entering your G Suite Superadmin email as stated. We don't get very detailed information from G Suite for these errors and they might be caused by multiple reasons. Please try to exhaust all listed options before you escalate the issue. 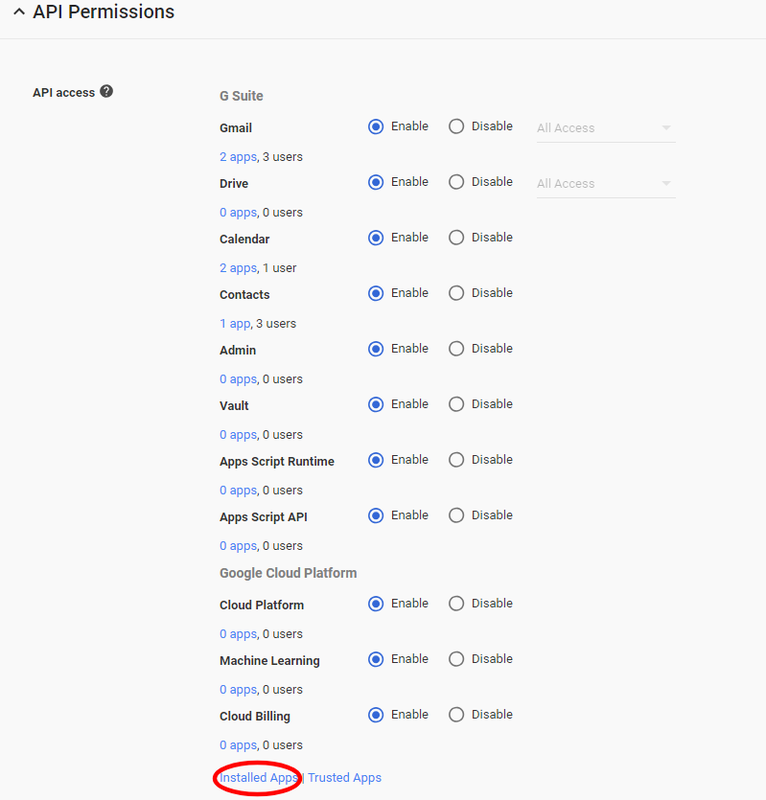 Go to Google Admin API reference settings and make sure you have API access enabled. These options should also available under this Google Admin link. If you want the app to be available only for certain Organizational Units, it's possible - but keep in mind that the Superadmin must be a member of an OU that has it enabled. If you have limited API scopes access, you may need to add SignatureSatori to a whitelist - otherwise we might not be able to access your data. Hey guys, it's still not working! We're sorry this is happening, please contact us directly via chat or our email.